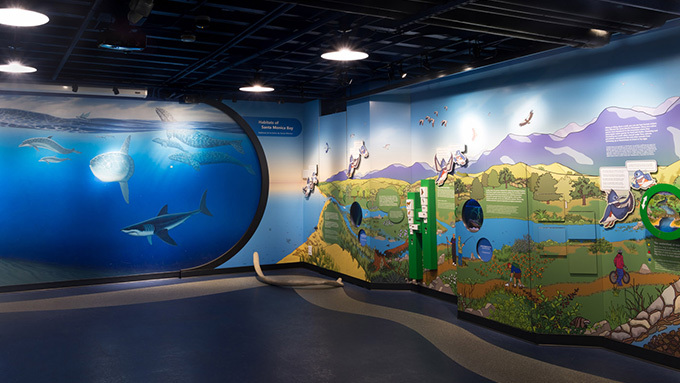 Cinnabar designed, fabricated and installed new permanent exhibits for the Santa Monica Pier Aquarium, owned and operated by Heal the Bay, in Santa Monica, CA. 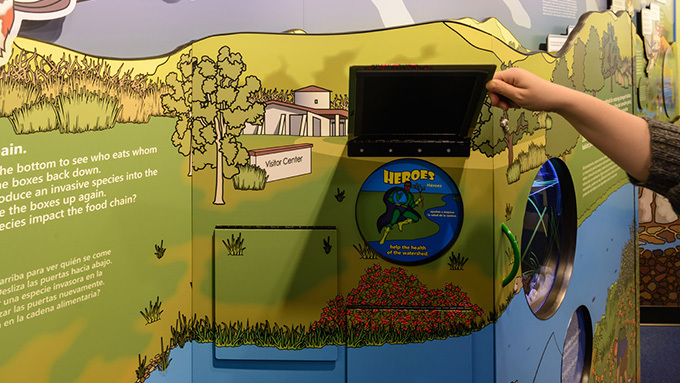 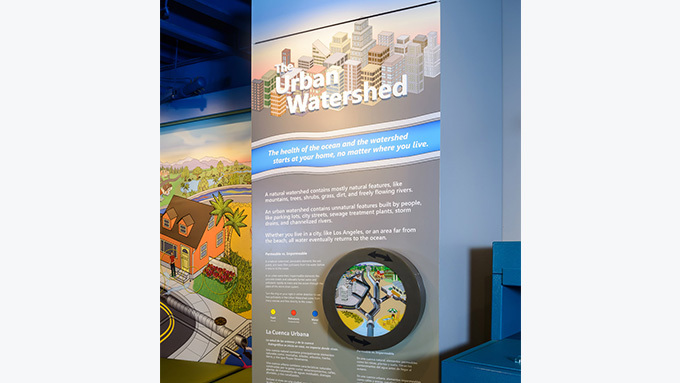 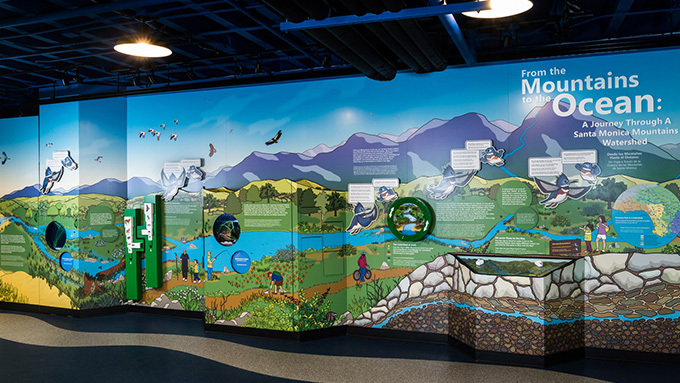 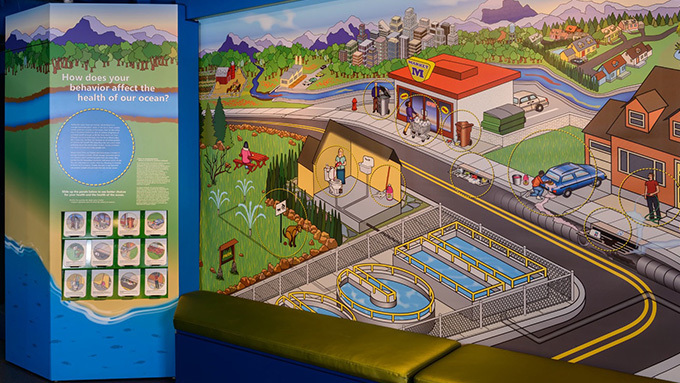 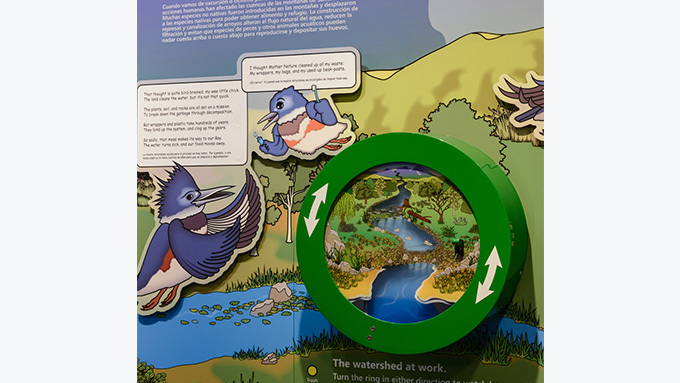 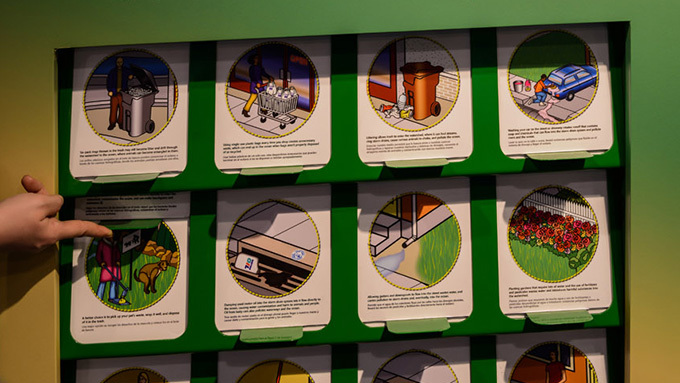 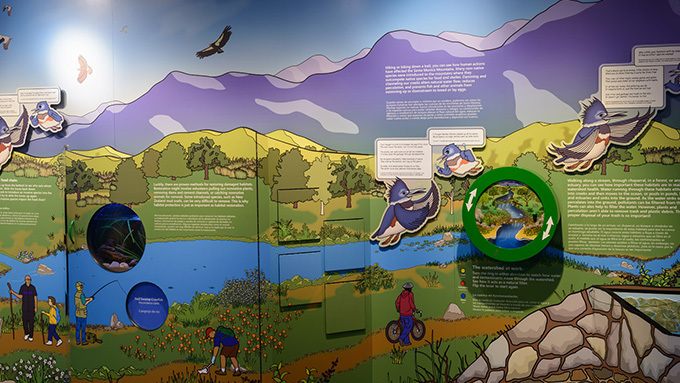 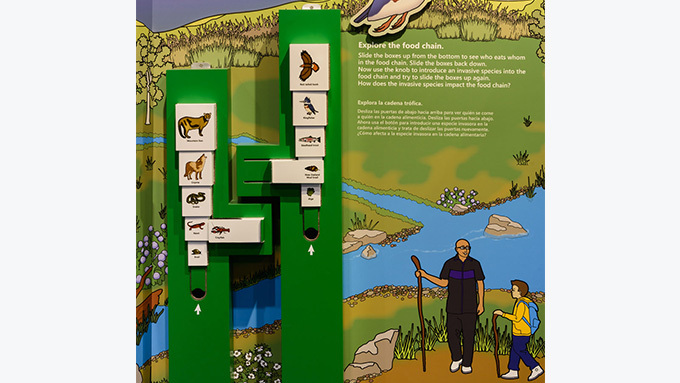 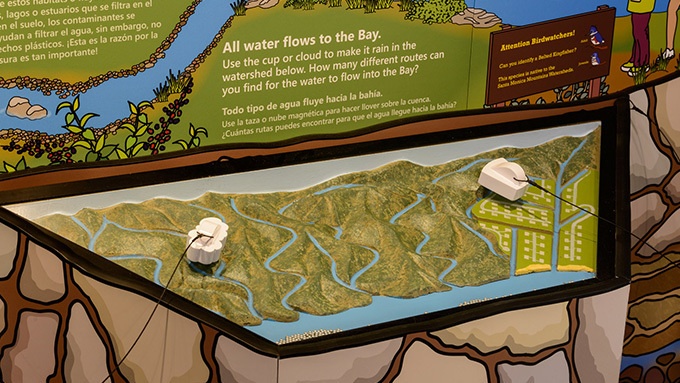 The exhibits feature multiple Cinnabar-designed and produced hands-on mechanical interactives that illustrate key issues in Southern California watersheds. 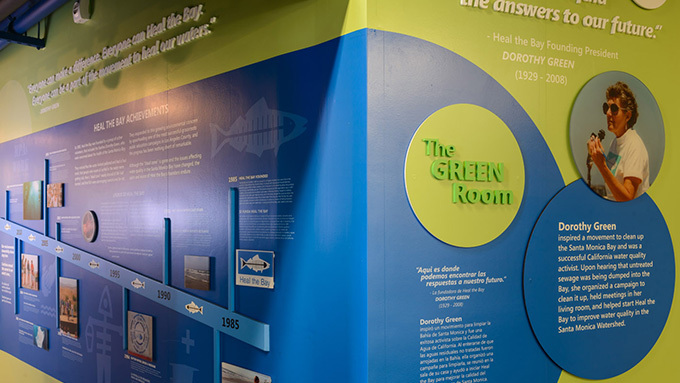 Exploring the importance of both natural and urban watersheds and the impact our actions have on them, as well as sharing a brief history of Heal the Bay and its founder, Dorothy Green, these exhibits promote environmental stewardship on the individual level. 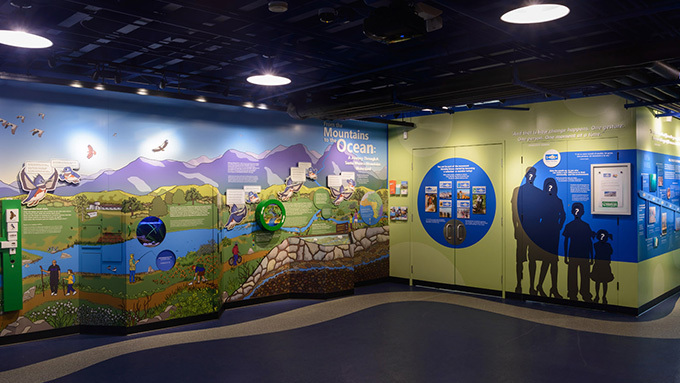 From initial concept development to installation in 10 months, this project offered some unusual fabrication challenges in creating vibrant exhibits that could withstand the intense moisture conditions of the facility, as well as functioning effectively as a multi-use space (classroom in the morning, public exhibits in weekends and afternoons).